NAVO offers multiple levels of Membership to public and private sector organizations wishing to support and participate in the development and implementation of our vision and mission. Strategic Members — With the approval of the Board of Directors, Strategic Membership is provided for organizations that wish to provide significant resources, over and above the level of Principal Membership in support of Consortium programs and objectives, and that wish to play an active role both in setting the direction of the Consortium's technology specification activities and facilitating the use and acceptance of Consortium technology in markets of strategic value to the Consortium and its members. Strategic Members are provided a voting seat, of each of the five standing committees, plus a seat on the Advisory Board subject to the review and approval of the NAVO Board of Directors. Principal Members — Principal Members have complete authority over the specification release and adoption process through their voting rights in the Planning Committee (PC). 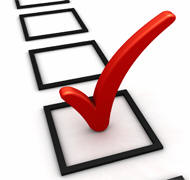 It is by PC vote that Open Voting Specifications are approved and released by the Consortium. PC Members participate in planning and management of the Consortium's technology development process, evaluate and provide guidance on market direction and Consortium focus, possess Technical Committee voting rights, and have approval authority for NAVO policies and procedures. Technical Committee Members — Technical Commitee Members have the right to submit technology proposals for consideration by the Consortium and possess voting rights in the Technical Committee (TC). The TC processes proposals for development of Open Voting Specifications. TC members may represent their organizations in any working groups or subcommittees of the TC, and may sponsor and/or participate in NAVO Interoperability Initiatives. Associate Members — Associate Members are granted non-voting membership in the TC and have access to all written and electronic TC communication, and may participate in working groups and subcommittees of the TC, as well as in NAVO Interoperability Initiatives. Commercial enterprises; state, province, and local government agencies; and university administrative units may become Associate Members.